The robots are coming, and they want to improve your HR processes. How will artificial intelligence affect the critical areas of recruitment, employee engagement and talent management? When SD Worx conducted an online poll of its customers, asking which functions of HR would benefit most from artificial intelligence (AI), it found the top three areas were: recruitment (62%), engagement (24%) and talent management (18%). What the global payroll and HR service provider didn't ask, however, was how long customers expected it would take before AI had a real impact. But, according to Laurence Collins, director of people and HR analytics at Deloitte, the expansion of AI into HR is already underway. “It’s going to happen faster and harder than HR people are ready for,” he warns, adding that it’s “moving from traditional HR shared services administration up to HR business partner work – for example virtual assistants who provide us with cognitive insights”. But before you start to panic about your – and your HR team's – jobs, heed the words of David Green, global director of IBM’s people analytics solutions. “AI will augment HR, not replace it,” he says. He adds that anything that involves “emotional intelligence” is likely to be “safe”, while those areas “at the bottom of the value pyramid”, anything that relies on replicating a process, will be automated using AI. "AI comes into its own in recruitment, with pattern recognition that can be missed by us humans with all our preconceived ideas and biases"
As SD Worx’s research highlights, recruitment is perhaps the most obvious opportunity for AI to take some of the administrative burden off over-stretched HR teams. “AI is being used to improve talent acquisition and onboarding by increasing speed and providing greater consistency in the employee experience,” says Jeanne Meister, co-author of The Future Workplace Experience. “AI comes into its own in recruitment, with pattern recognition that can be missed by us humans with all our preconceived ideas and biases,” believes Andrew Spence, HR transformation director at Glass Bead Consulting, who has an MSc in cognitive science and artificial intelligence. Specifically, he adds, AI can help by finding the factors that can predict who will be the most productive employees. "By capturing a broad data set and continually monitoring against subsequent employee performance we can find which measures are better predictors,” he says, suggesting data points like Facebook and social media likes, location from the office and even biometric data and DNA as potential future examples. Internally, IBM is using a tool called ‘Blue Matching’, Green says, to help make its internal recruitment processes more effective. “We did some analysis that found internal hiring is cheaper and that internal hires are more likely to be productive quicker,” he explains. Blue Matching is an opt-in programme which uses data on people’s skills, competencies and preferences to push suitable jobs out, encouraging them to apply. Green says it has increased the number of internal hires IBM has made. Externally, IBM offers a tool using Watson, its cognitive system, which tells hiring managers which candidates are most likely to be successful, and how to attract the best people. There are also examples of recruiters developing and using ‘chatbots’ to answer candidate queries. Sky Betting & Gaming recently introduced a virtual recruitment chatbot, with the face of presenter Jeff Stelling. ‘Ask Jeff’, available via Facebook, can pose and respond to questions on subjects such as company culture, an applicant’s status and benefits. Sky Betting & Gaming says the tool aims to free up the recruitment team to spend more time at the later stages of a hire, rather than fielding more straightforward questions. "How many times do you fill in an engagement survey and the organisation doesn't communicate it back? Chatbots could be looking at the responses and pushing out information"
Beyond recruitment, using chatbots to answer simple employee queries could have a positive knock-on effect on engagement. “Employees are using their iPhones and tablets at home, they are on the internet all day and they expect access to smart, consumer-grade technology to remain productive and engaged,” says Sandy Begbie, chief people officer at Standard Life. Meister gives two examples of tools already available in this area: Talla, which is mainly focused on answering questions related to recruitment, and Jane, which acts like an HR service centre. “Jane also uses sentiment analysis to examine ongoing employee issues so HR can take action,” she says. Turkey’s DenizBank has developed a chatbot using Facebook Messenger to answer simple staff questions within seconds. “The goal [of such tools] is to provide seamless service in a conversational mode where you may not even know you are interacting with a bot,” Meister adds. Collins believes AI will play “a huge role” in enabling HR departments to use real-time data to create sentiment analysis, thanks to the move away from annual engagement surveys to more regular pulse-type ones. 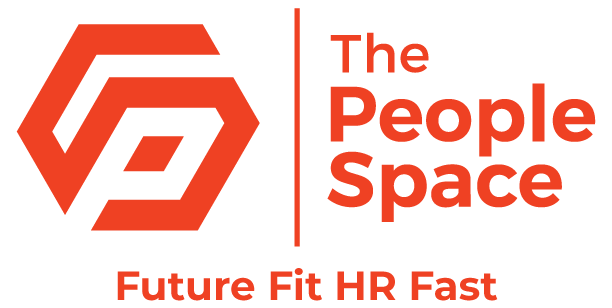 “The data from pulse surveys can then be used alongside employee productivity, relationship patterns, absence patterns to work out which interventions keep up morale and productivity,” Spence agrees. Glint, a real-time engagement platform that uses AI, has raised more than $50m in funding and is used by Sky. John Stewart, HR director at SSE, believes though that while AI-enabled data insight could be useful to look at themes and trends, “there’s no substitute for speaking to people and listening to identify the actual issues”. David Collings, professor of HRM at Dublin City University, agrees. “I have seen examples where HR shared service centres were great in making processes more efficient but negatively impacted on employee engagement as the human face of HR was absent when issues arose,” he warns. "From a talent management perspective, AI will take connecting supply and demand together to the next level"
According to Collins, there are three areas in talent management that could benefit from AI: early identification of talent; predicting likelihood of success, helping succession planning; and the linking of people data to business performance to create “a measure of lifetime value”. IBM is using AI to create personalised career paths for its workforce. “It’s based on data about skills and what the attributes of high potential people in the organisation are,” Green explains. “The software can then suggest areas in which you need to develop, and suggest courses that could help.” Critical to the success of such a tool is trust and transparency, he adds: “If employees are convinced that logging their skills in the system will benefit their career, they are more likely to do it.” As well as helping the individual, such tools will also help HR teams build a fuller picture of the talent in the organisation. This, he believes, “will herald the beginning of the virtual talent market place where employees will be able to broker their own skills and experience”. Campbell agrees, predicting that his children will be able to log into a workplace app to accept shifts and projects at a range of different organisations.